Bastila - "We could put the big screen over there, your "Man Cave" could go in the cargo hold.. Hmmmm"
Then were would the she-shed go? maybe where the controls are? I don't know if cockpit is allowed. I feel like I'm going to catch some flack for that comment. Omg yes! Pink Floyd!! lol. Bastila: "Hello... hello... hello...... is there anybody in there?" 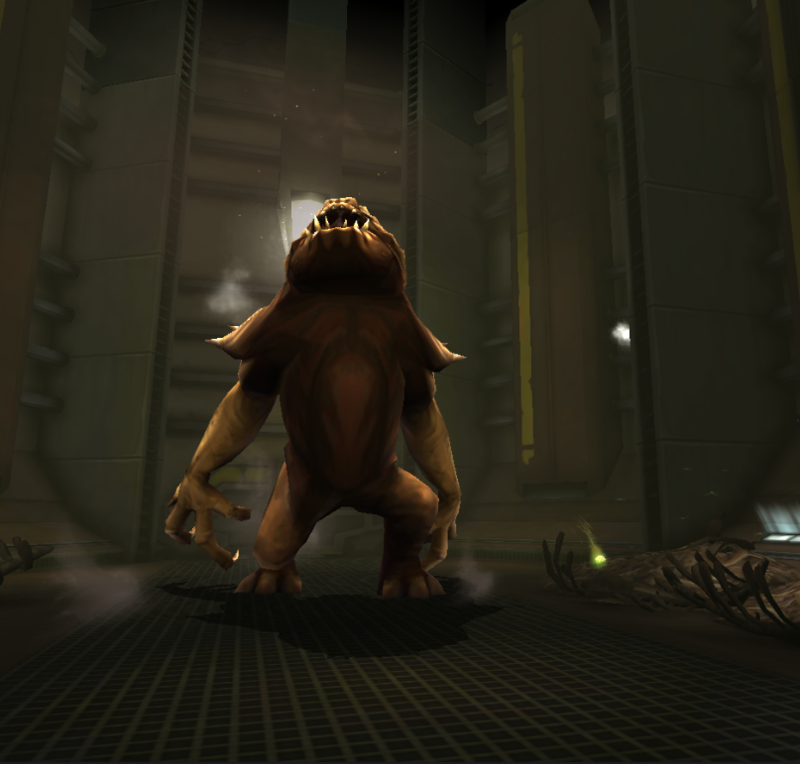 Wicket saying to Revan: "Wanna hear a joke? What does Luke Skywalker do when his landspeeder breaks down?...... EWOKS! Get it?... He walks... Ewoks... sounds similar right? Heh." Revan: "That's one weird Care bear." Bastila: "Ugh... 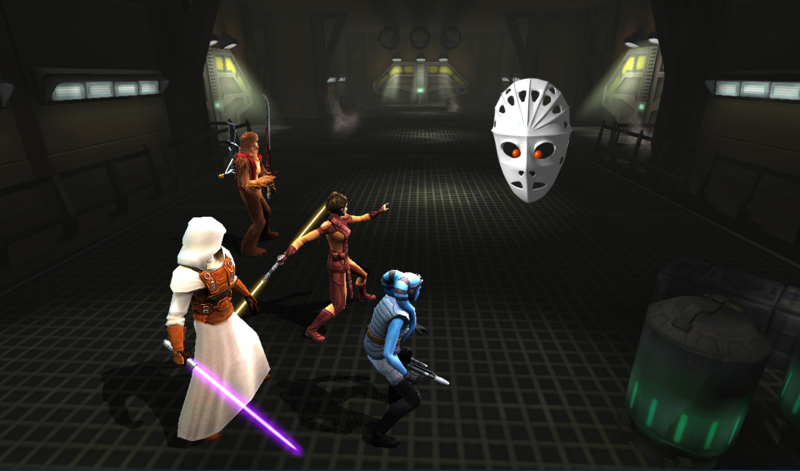 I wonder how long I can hold this mask up in the air..."
Revan: "That's it Bastila! You're doing it!... You're using the force! Keep going!" Bastila: "But my arm is getting soooo tired... it hurts! Must... keep... going..."
Bastila: "It's a bird! It's a plane!..." 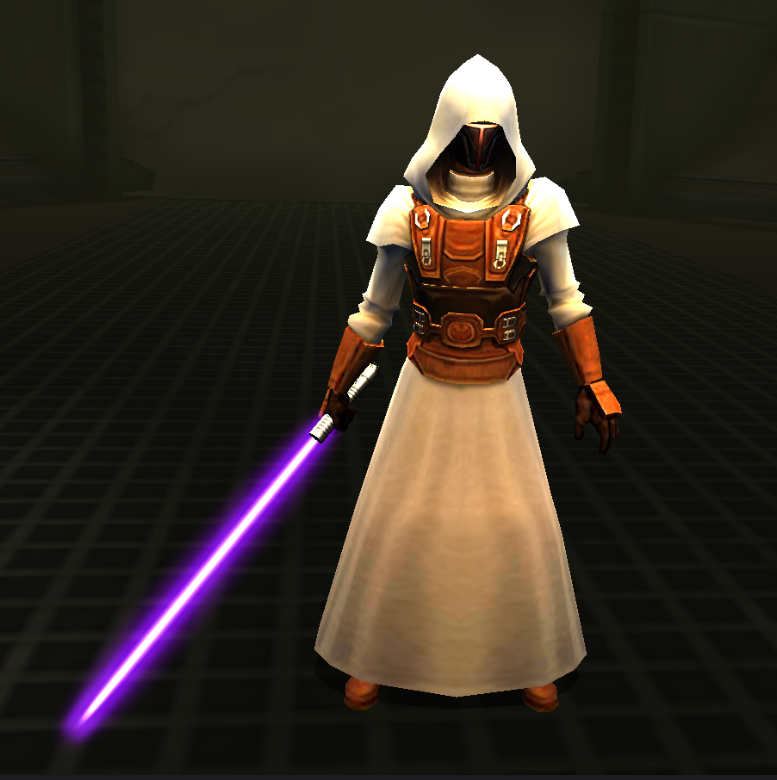 Revan: "Uhh, nooo... 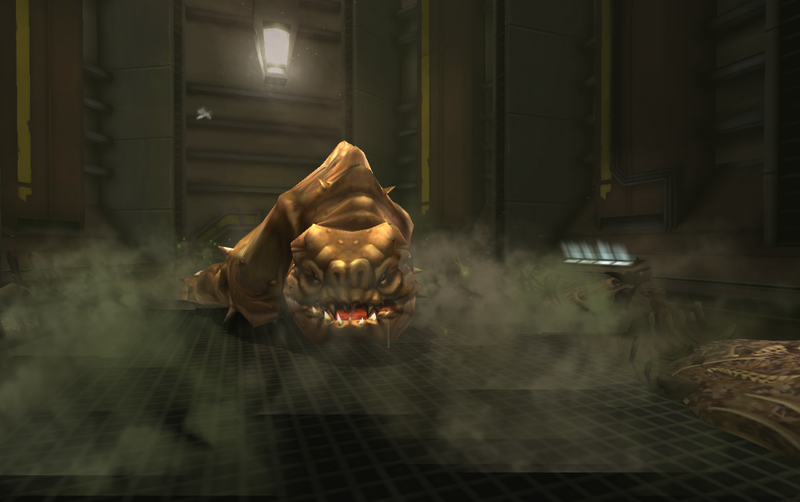 It's a hockey mask floating in the air... duh..."
Rancor: "Hey!... Hey you... Freeze!…… Hey... it worked!" "I wonder which one of you I should devour first... hmmm... decisions decisions..."
"So... hungry... must... eat... something... soon..."
"What are you lookin' at? Yeah that's right... I'm talkin' to you..."
"So bored... I guess I'll just lay here and do nothing..."
"Man it's hot in here... is there a fan up there? I wonder if the AC is working..."
Rofl, well done, all of them! Lol. Thank you Sir @DuneSeaFarmer I actually have a couple more ideas up my sleeve. Bastila (copying Old Ben) waiving hand in the air: "These aren't the droids you're looking for......"
Wicket: "Excuse me, Mr. Raven was it? Ahh yes. Did you know that when a problem comes along, you must wicket. Yeah. Wicket good. 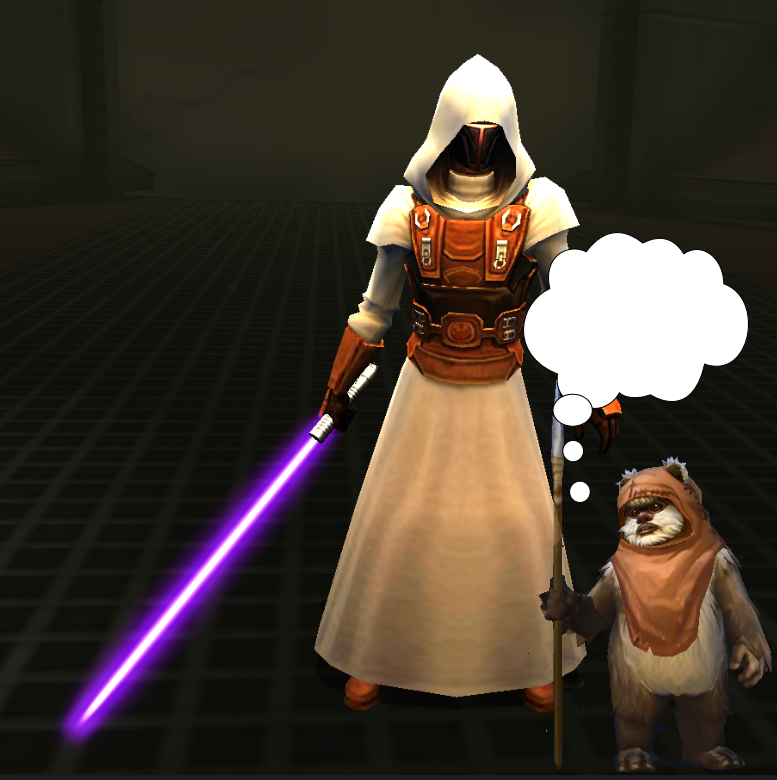 Heh..."
Revan: "Did someone leave a teddy bear with a spear and a hoodie behind? 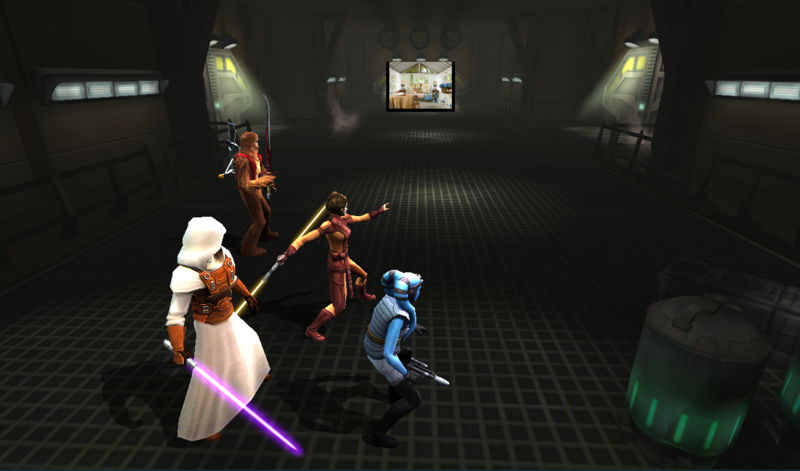 Ahh who cares..."
Revan: "I don't get it... what are we looking at?" 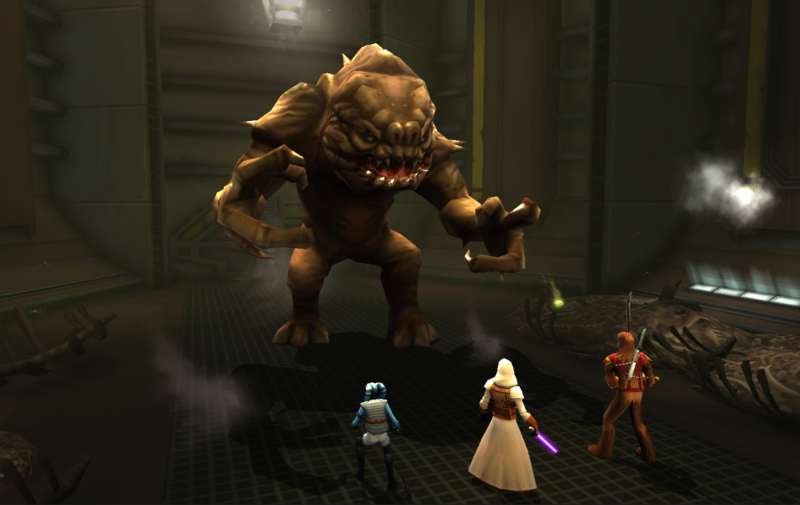 Revan: "Hang on everybody... no one... move... a muscle... Maybe he won't eat us and he'll turn around or something..."
Revan: "Hahaha... Yes! Now that's what I'm talking about... quick! Mission, go get some ketchup... and Zal, go get some buns... cause when we defeat him, we are gonna have some rancor burgers tonight!" 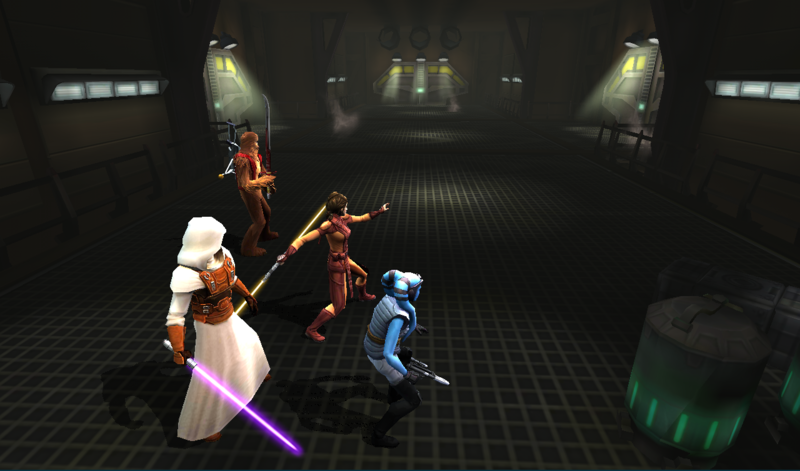 It looks even worse when Luminara stands in Revan's spot. She has such a wide stance that Bastila seemingly cuts through her leg over and over. Seriously got me laughing with this whole thread. I love all the Floyd references. My fave thread in quite a while, thanks. "Jaws theme plays" "We're gonna need a bigger boat!"